Real MPG challenge: How far will the Range Rover Evoque go on a single tank of fuel? How far will a car realistically go on a full tank of fuel? Regular readers will know we’re convinced it isn’t as far as manufacturers lead to you believe in their advertising. Our Real MPG database has illustrated that many modern cars have a significant deficit between the official combined fuel economy figure – the one that many car owners have come to treat as a typical – and what they achieve on the road. ‘Hypermiling’ is out of fashion, mainly because cars have been optimised so much for the seven-mile official test, it’s now extremely difficult to replicate the achievements of these lab tests in real life. So we wanted to try a more realistic version of hypermiling – how far will a car go on one tank of fuel if we drive it as an owner might do? We decided to take the latest version of the Range Rover Evoque, using the new British-built Ingenium 2.0-litre diesel engine, to join up two significant points in the Land Rover timeline. 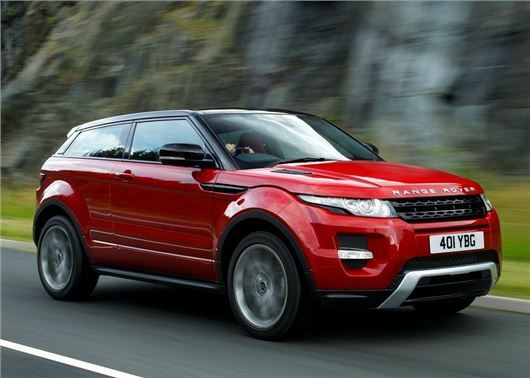 The front-wheel drive Range Rover Evoque 2.0 ED4 is Land Rover’s most fuel-efficient car on paper. The five-door model records 65.7mpg on the combined cycle and has CO2 emissions of 113g/km, but in Real MPG, the average fuel economy is 40.7mpg. Today (June 22) we will start at Red Wharf Bay on Anglesey, where, in the 1940s, Maurice Wilks, then chief engineer at Rover, first sketched his idea for a Land Rover in the sand. Over two days, driving through Snowdonia National Park, before heading to the North West of England, the Lake District National Park and Scotland, we’ll be driving the car smoothly and driving up to the maximum allowed by the speed limits where possible. The finish will be at Laggan Bay, on the island of Islay, where the Land Rover name was created and where many early Land Rover prototypes were tested. A total distance of around 565 miles will be quite a challenge on one tank of diesel. You can follow our progress on the trip on Twitter using the #RealMPG and #EvoqueBay2Bay hashtags, with frequent and regular posts on our social media channels. Having ordered a 2.0 ed4 se tech onthe 5th of May I am anxiously awaiting its arrival . I am told the car will start to be assembled on the 18th July and delivery expected around the end of the month . I was very interested in your 2.0 Evoque MPG test as reports vary so much , no one seems to achieve anywhere near the official published figures . Looking forward to your report ..